You can now save your custom tunings by pressing the “+” button when it appears while changing the tuning of an instrument. Note that all tunings are saved as cookie in your browser. As you may notice, many new namings were added. At some of them we needed to do some compromises, like Cyrillic. Most languages that use Cyrillic use 4 letters for “Sol” note, writing it “Соль”. Since there’s not enough space for 4 letters, we used 3 and wrote it “Сол”. Some namings might be displayed different in different browsers. For example, languages that use right to left writing. 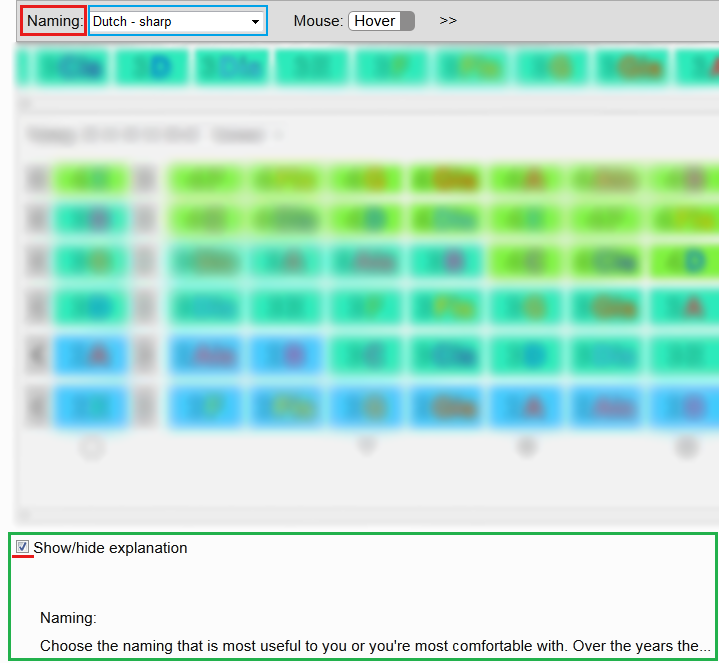 If namings are not displayed well in a browser, it might be displayed well in other, and vice versa. For Korean namings we advise to use the Opera browser, otherwise namings might appear too thin. We put lot of time and effort to translate and code new namings. But since we don’t own Babel fish, we can’t say for sure that they are entirely correct. So if you find any mistake, let us know in the comments!